To my understanding when we catch seeds they go away. This one to me isn\'t to smart. Orgrim on the PST servers. 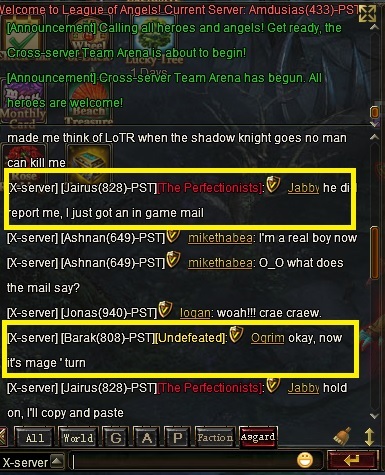 I don\'t know how hes not a seed when he can report and have some 1 silenced in Asgard chat in 2 min. Sorry but seeds ruin the game. they don\'t earn their stuff; and they take from others with events. heres a ss where a player kept going at Ogrim ( sry I cant ss and make a paint fast enough to keep up) and Ogrim threaten then did get the player Jabby silenced. If hes not a seed how they heck can Ogrim get some 1 silenced that fast yet we cant get bugs glitches hackers gone that fast? I know when I asked for a player to be dealt with in Asgard it took longer than 2 min. 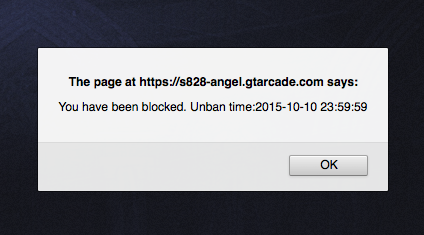 lol yeah I got silenced too ... Never seen this happen through the entire Inty saga .. just more proof that this guy has something to go with GTA. Tell Moofy not to bother with him he will only get her banned also .. I will be unbanned soon or I will report this to the online fraud department here in aus .. see how far this game goes when it\'s put on the fraudulent watch list. this is Jabby from Jairus 828 PST and my account has been blocked until 10-10 23:59. I am winning Beach Treasure and I am going to miss out on the Divine Totem because of Ogrim. I am a diamond level casher and I am NOT happy about this. This is RIDICULOUS. PLEASE UNBLOCK ME IMMEDIATELY !! 2019-4-21 18:47 GMT+8 , Processed in 0.063213 second(s), 52 queries .